For everyone who likes a hefty watch on the wrist, the Hindenberg Independence is an excellent choice. It is big, heavy and bulky. This watch is a tool you definitely won’t hide under your shirt cuff. This watch is equipped with some interesting features. The heart of the watch is the automatic calibre H-09.160 with 20 jewels. It displays hours, minutes and seconds as well as the date, the day of the week and the month. 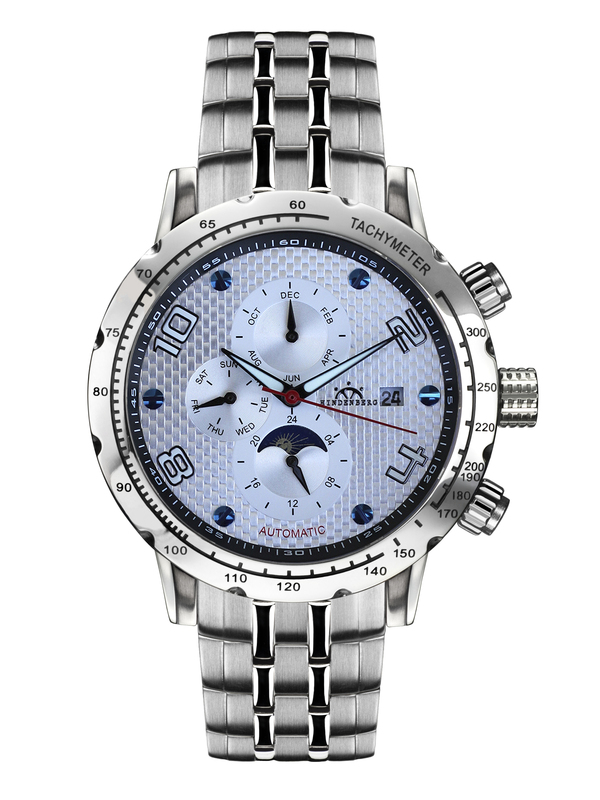 On 6 o’clock the dial shows a sun-/moon-display, on 3 o’clock you will find the date window with the brand name next to it. The hands are the most important and visible part of the dial. 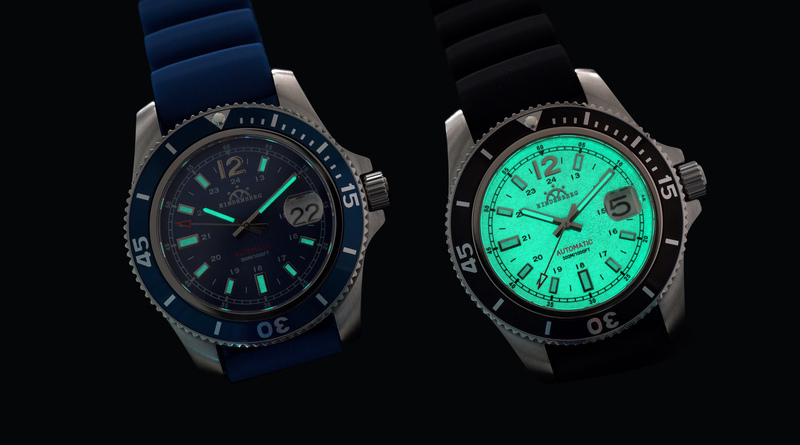 Like the numbers on 2, 4, 8 and 10 o’clock they are glowing in the dark to enhance legibility even under difficult circumstances. This wristwatch in general is very easy to read. The seconds hand brings a touch of paint to the dial and the red corresponds well with the overall design. Everything is protected by a scratch-resistant sapphire crystal. 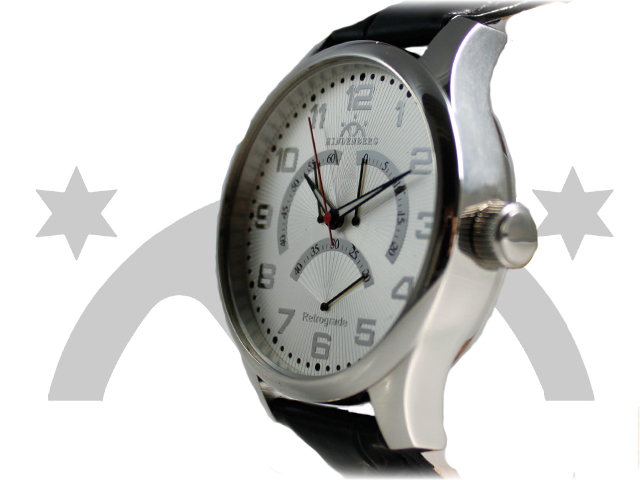 Like mentioned before, the Hindenberg Independence is a watch that definitely attracts attention. It measures 44 mm in diameter and the thickness is 13 mm. The weight is also something worth mentioning – 211 grams in total. 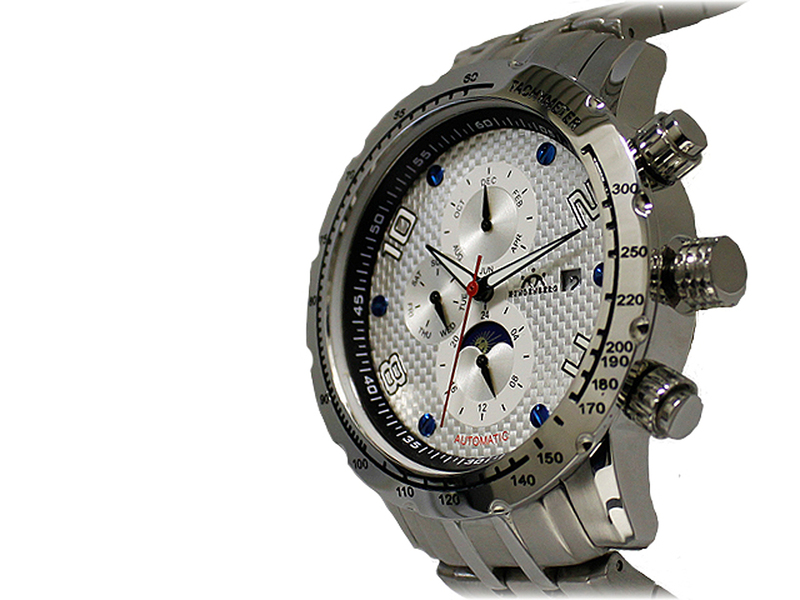 The stainless steel bracelet is solid which is absolutely required to keep this watch on stable on your wrist. Like all metal bracelets it can be a bit of a hair puller, but on a watch this size and with these rugged looks a leather strap would simply be no alternative. The size is also so apparent that you will constantly reminded of this watch while wearing it. The two pushers are large and easy to press. 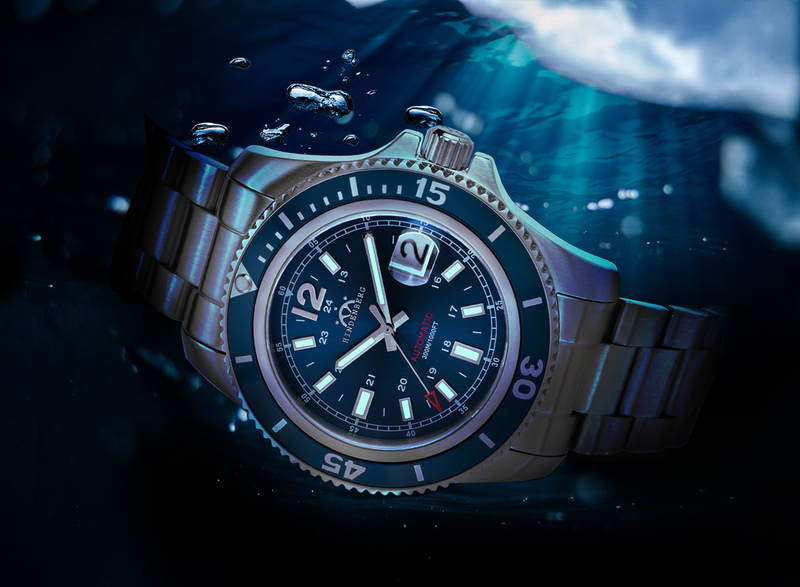 The Hindenberg Independence is water-resistant up to 5 ATM. 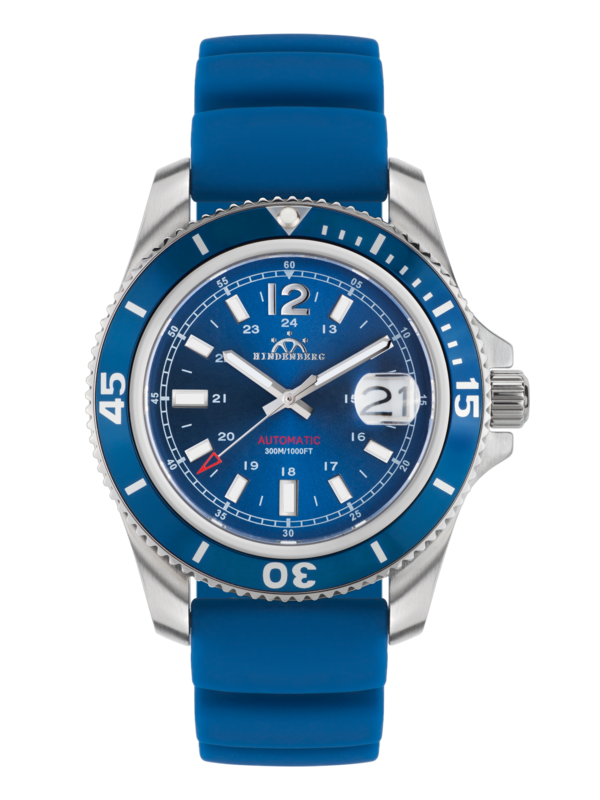 This model comes in four different variations – with a silver, black, blue or green dial. Although the dial remains unaltered, the change in the overall looks of the watch is pretty amazing. This may be a surprisingly hard choice. 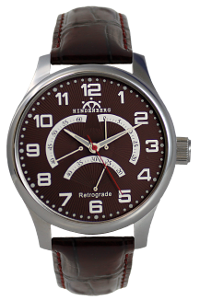 Hindenberg Retrograde – i like retro! I admit! I’m not only a fashion victim but also a victim of the retro-wave. I’m attracted to everything that screams vintage and retro. Therefore, it’s not surprising that I’m also very attracted to the new Hindenberg Retrograde. 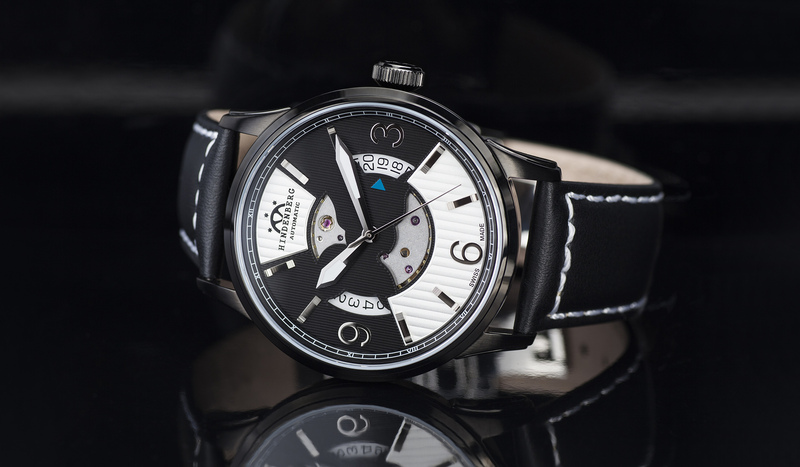 The Hindenberg Retrograde is retro in two different aspects. The design is doubtlessly retro. 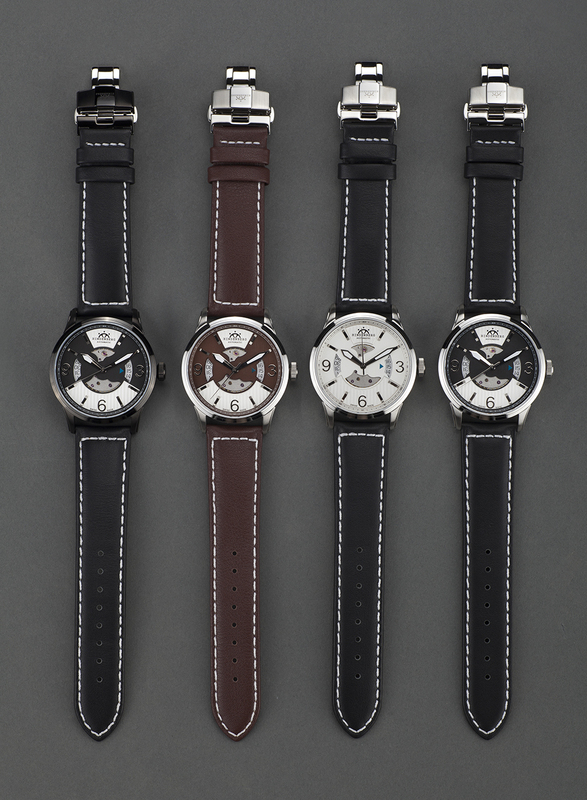 The oversized numbers on the dial, the dark brown real leather wristband, the matted stainless steel – design elements that take me back to bygone times. 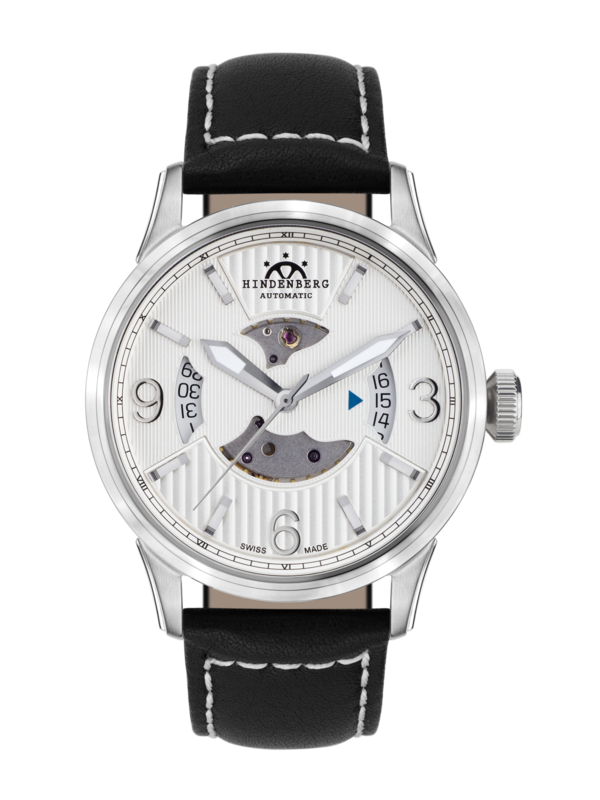 But there is also another reason why the Hindenberg Retrograde is so retro – retrograde more specifically. Retrograde means anti-clockwise. Of course the Hindenburg Retrograde doesn’t let the time run backwards but it uses a time-display feature that was very popular in former times. Both second hands are so to say marching to a different tune. After the first second hand counted the first 30 seconds backwards it is set back 0 and then the other second hand starts to count the next 30 seconds. This feature was already used in the year 1650 by a watchmaker called Hans Buschman who used it for his pocket watches. I really like that this feature is still used.